Choosing a music stand is one of the most overlooked but most important things done in the early stages of playing a musical instrument. 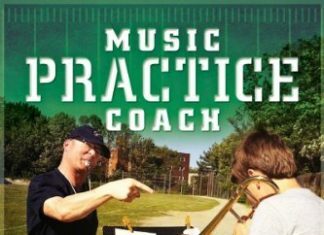 Many people just settle for whatever stand they first see either in a music store, or the very first one they see online thinking that they are all the same, instead of trying to find the best music stand. Even worse, some players go weeks/months/years without having a music stand and resort to propping music up on a couch, chair, or whatever they can find. 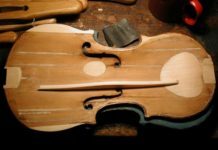 Any of these can wreak havoc on a musician’s posture – which in turn keeps them from being the most comfortable while playing and keeps them from playing their best. Never fear though as we’ll tell you about the best music stands you can find on Amazon! 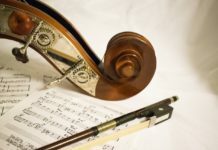 There are two primary types of music stands, and depending on the needs of the player, it will determine what kind they will look at. These two main types of stands are portable and non-portable music stands. We’ll show you the best music stands of each type. As these types of stands are very different, this list is divided in two – the top 5 portable stands, and the top 5 non-portable stands. Before the list is a brief explanation of some pros and cons of portable and non-portable music stands, respectively. For the player who does a lot of moving around and needs a light stand that fits in a small bag over the shoulder, they will want to look into the portable music stands. 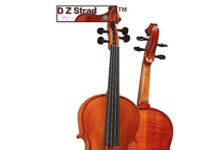 These are also the most common stands found in younger students, as they are light, fit in a backpack, or even some instrument cases, and typically inexpensive. The downside of these stands are that because they are light, they tend to be knocked down easily, they cannot hold a lot of music at once, and they tend to be more fragile. For the elementary school or middle school student just starting out, this kind of stand is perfect, and if cared for and not abused, will last through at least some of high school. 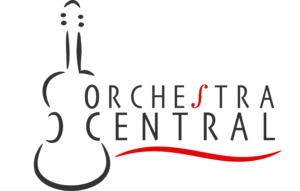 For the player looking for a music stand just to have at home, or with heavier/more music that a portable stand cannot hold up, the non-portable stand is the stand they will want to use. Portable music standsIt areis still fairly straightforward to use and relatively easy to move these stands around from place to place, but they do not collapse conveniently into a bag. These stands are much more sturdy, can take some abuse without breaking, can hold much more music, are easier to adjust (height, angle), and hold up much better outdoors ( – a portable music stand will tumble to the ground and send music flying all over the place with even the slightest gust of wind). These stands are of superior quality overall compared to portable music stands, and tend to be a bit more expensive than their portable counterparts. 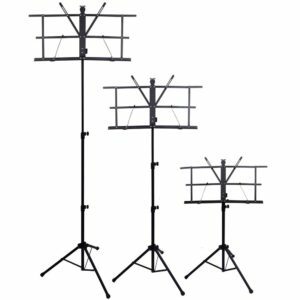 These music stands are best Ffor the band or orchestra director getting music stands for the classroom, the music store stocking their studios with music stands, the adult player just starting out or getting back into music, or the younger student looking to upgrade to a more stable music stand. Just like how one’s playing evolves as they play for longer, the needs for a music stand, and what it will do for the player, may change. 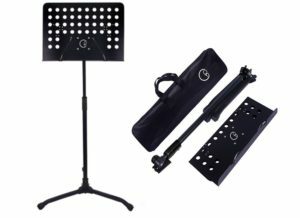 It is not uncommon for a player to start off with a portable music stand, use it primarily for 4-6 years and then buy a more heavy duty stand as they start to use more materials, and books that the portable stand cannot support. It’s also very common for professionals, pre-professionals, and even many amateurs to own one of each, and use either depending on what they need at any given time. This foldable music stand is easily collapsible into a bag (included with purchase), is light, and can be set up to 5 feet and 9 inches tall – significantly taller than most foldable music stands on the market, which is great for a taller player or someone who is growing. It is easy to set up, easy to use, and has gotten entirely favorable reviews from users on Amazon. No wonder this is the best music stand for traveling. In terms of music stands, none is more tried-and-true than the Manhasset #48 model, which places it at number 1 in this list. 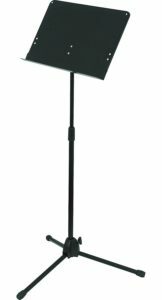 With its sleek black design and ability to swiftly adjust the height and angle of the stand, it has become one of the most common stands found in schools and even on the professional stage! 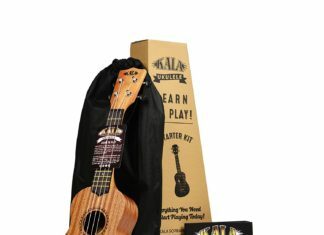 This foldable music stand is easily collapsible into a bag (included with purchase), is light, and can be set up to 5 feet and 9 inches tall – significantly taller than most foldable music stands on the market, which is great for a taller player or someone who is growing. It is easy to set up, easy to use, and has gotten entirely favorable reviews from users on Amazon. This portable music stand is light and easy to carry around both assembled and when collapsed into its pouch (included with purchase). 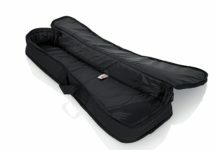 It is easy to fit in a backpack and some instrument cases, and is very inexpensive. Of the stands in this portable section, this stand is easily the most durable that fully collapses into a bag. On the more expensive side and requiring a bit more set-up, this stand would still be perfect for the player who is always moving places, need a fully collapsing stand, and perhaps who performs outdoors – as the stand is a bit heavier and will keep from blowing over much better than any other stand on this list. 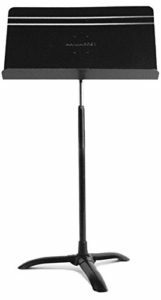 A great, heavy-duty music stand that is both sturdy and stable. While a little more expensive than the other portable music stands on this list, it will last a long time and is light enough that it can be carried anywhere. It is even small enough to fit in some instrument cases. The Kasonic Collapsible Music Stand is light, fits into a very small black pouch (included with purchase) that will even fit outer pouches of SOME some instrument cases, making it a breeze to travel with. The stand comes with a few bits of gear such as a light to point at shine on the music if it is darker. However based on the flimsiness of the stand, it would be a surprise if it could even support the stand light, and the inclusion of these items makes the product more expensive. In terms of music stands, none is more tried-and-true than the Manhasset #48 model, which makes it the best music stand in this list. 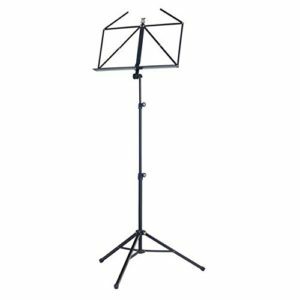 With its sleek black design and ability to swiftly adjust the height and angle of the stand, it has become one of the most common stands found in schools and even on the professional stage! 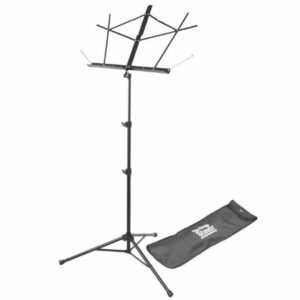 Ranking at number 2, AmazonBasics Sheet Music Stand is designed to offer a wide variety of heights and angles so that no matter the player, this stand can be set up so that the music can be seen. Extra knobs along the stand make it both easy to adjust and keep it from wobbling around – however it cannot be adjusted as quickly as the other stands on this list. The sleek black color makes this a perfect stand for use at home and in a professional setting. 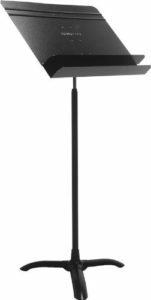 This semi-portable music stand still falls in this category of stationary stands as it does not collapse and fit into a small bag, but it is sort of the best of both worlds. A very durable stand, it can take a beating and still look nice and presentable. It is easier to adjust to take in a car than any other stand on this list – so for the player who wants a very sturdy stand for home use and use on the road, this stand is perfect. The only difference between this stand and the Model #48 is that there is an extra section on this stand below where the music is placed. 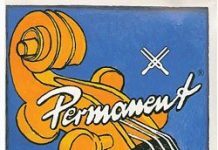 It falls below the model #48 for the majority of musicians because of the added bulkiness to the stand with minimal benefit across the board. 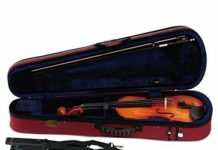 However, the extra space is perfect for double reed instruments to put their reed water, string players to put their bows, or for any players to keep fairly small items, such as pencils, so that they do not obstruct the view of the music. Along with the Manhasset Model #48, this is one of the most common stands out there. Similar in many respects to the Manhasset’s in durability and design, the main design difference is a lip that ends underneath where the music is placed – where many students will hang a mechanical pplace their pencils. While users rave about its durability, this stand falls lower on our list because some users find it difficult to assemble and not as easy to adjust as the other stands on this list. No matter what instrument you play, having a music stand is essential for holding music so that you can sit or stand in a healthy way while still being able to see your music. When it comes down to it, any of the stands listed above will work, and it just depends on your needs as to which music stand is best for you. 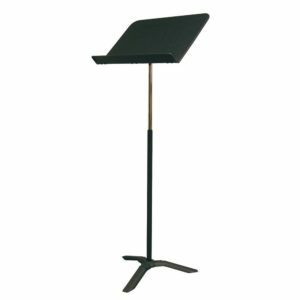 If you’re looking for any other options for music stands, you can check out our entire selection of music stands in our Shop. 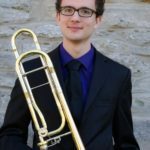 Bobby is a performing trombonist, arranger, and private teacher currently based in Pittsburgh, Pennsylvania where he is pursuing a Masters in Music at Carnegie Mellon University as a graduate assistant and fellow.